a. 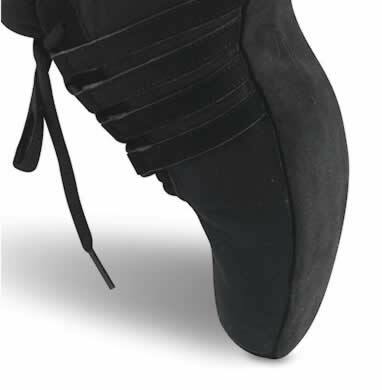 Great for jazz, ballroom, or as sneaker. b. Low profile sleek design with full suede sole and canvas upper. c. Incredible lightweight construction for freedom of movement. d. Superior padding and removable padded sock liner. e. EVA cushioned heel for shock absorption and comfort. SIZING NOTE: Ladies order a 1/2 size larger than your USA street shoe size. Men order 2 1/2 sizes larger.